Metaphysical books, tools and resources for the enlightened alternative lifestyle. The key secrets to magick & spell work that many witches don’t want you to know. How to use witchcraft & magick so you become a powerful White Witch. When Israel Regardie wrote A Garden of Pomegranates in 1932, he designed it to be a simple yet comprehensive guidebook outlining the complex system of the Qabalah and providing a key to its symbolism. Since then it has achieved the status of a classic among texts on the Hermetic Qabalah. Now Chic and Tabitha Cicero have made A Garden of Pomegranates even more useful for today’s students with full annotations, critical commentary and explanatory notes. They’ve added practical material in the form of pathworkings, suggested exercises, and daily affirmationsÂ—one for each Sephirah and each path. Brief rituals, Qabalistic mantras, and meditations complement Regardie’s section on gematria and other forms of numerical Qabalah. 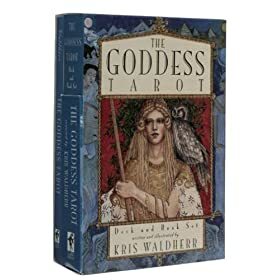 The Goddess Tarot deck is an indispensable guide to the language of mythical imagery and ancient myth. This striking set is an essential tool of empowerment, personal growth, and inner transformation. New Age Book Store Metaphysical books, tools and resources for the enlightened alternative lifestyle.